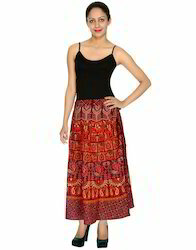 Our product range includes a wide range of maxi rayon crepe calf tie dye blue women dresses, women's lehenga choli, om printed cotton women casual ladies kurti for women, 3/4th sleeves white & black leaves printed cotton women kurti, printed circle wrap around cotton skirt and bendhej knee length skirt. Include this Cotton designer lehenga choli in your ethnic collection for its fabulous tie dye bandhej work and quality cotton fabric. Carry this designer lehenga choli to a special occasion with comfort ensured throughout. This beautiful and graceful lehenga choli comes from the house of Rajrang. It has beautiful and unique Mirror Work design that will make you stand out from the crowd at every occasion. Look Simply Gorgeous And Be Drenched In Ethnic Flavour By Wearing This Kurti From House Of Rajrang. Featuring An Attractive Pattern And Eye Catching Om Printing Is Specially Designed For All Women. Exclusively Designed, This Kurti With Regular Fit Will Enhance Your Curves, And Soft Cotton Will Keep You Comfortable All Day. Rajrang Brings you one of the Best and Latest of Designer Ladies Kurtis in which come in Bright and vibrant colors, Fabulous Printed which give you a Contemporary look with bit of Ethnic looks. This Kurti is short length and has 3/4th sleeves, Gives best combination as Work wear or Casual wear. Pull off a trendy ethnic look by slipping in this pink colored wraparound skirt from Rajrang. Decked with stylish prints all over, this wrap skirt will fetch your loads of compliments wherever you go. Made from cotton will keep you at great ease all throughout. Description Wear this cotton Midi wrap skirt to the next party and let your attire speak for your fashionable taste. Complement it with a white crop top and gladiators for that modish appeal. Rajrang Brings you one of the Best and Latest of Designer Kurtis which come in Bright and vibrant colors, Fabulous Printed Cotton Kurti which give you a Contemporary look with bit of Ethnic looks. This Kurti is short length and has 3/4th sleeves, Gives best combination as Work wear or Casual wear. Rajrang Brings you one of the Best and Latest of Designer Kurti which come in Bright and vibrant colors, Fabulous Printed Ladies Kurti which give you a Contemporary look with bit of Ethnic looks. This Kurti is short length and has 3/4th sleeves, Gives best combination as Work wear or Casual wear. 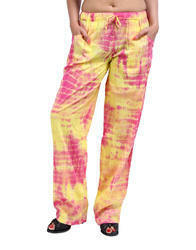 We are Presenting Beautiful Ladies Cotton trousers this trousers has Traditional Look. No tie tension with elasticized waist this trousers is in Cotton fabric which will give you a smooth feeling whole day. Take a more relaxed approach towards fashion as you wear these trousers from the House of Rajrang. 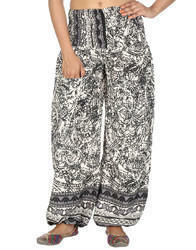 Designed for fashion-forward women, this trouser will become one of your favorites this season. Packaging Details: As per product specification and safety standards. This ultra soft, luxurious stole has been dyed by our own local craftsmen with traditional tie-and-dye, And Sequins Work Mirror Work technic is hailing from the cultural heritage of Rajasthan. The stole is made of finest quality textiles and colors. The vibrant and vivid ethnic colors will not only bring the best out of your personality, it will also give you a completely new look.Lightweight and easy to carry. Super Soft And Comfortable; This Is Also A Perfect Option For Gift Your Loved Ones. Enrich Your Look With A Premium Range Of The Summer Scarf By "Rajrang." 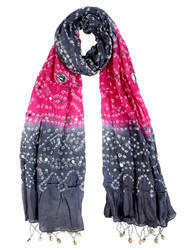 These Are Very Elegant, Colorful And Trendy Designer Scarf. These Scarfs Are Made From Cotton & Viscose. Soft, Light-Weight, Skin-Friendly And Easy To Use And Wash. This Scarf Is Going To Be A Great Plus In Your Wardrobe And Your Accessories Collection. - This Is Also A Perfect Option To Gift Your Loved Ones - This Scarf Can Be Worn On Both Ethnic And Casuals And Can Be Worn In All Seasons - In Winters It Protects From Cold And In Summers It Absorbs Sweat If Any. When you wear your Short dress, you will enjoy the very best of both worlds because the Short and Sleeveless dress offers both comfort and style. Made of Faux Georgette And Color Is Black and Blue, This Sleeveless Dress is Best worn in any party, festivals, casually in college, hangouts for an elegant and smart look. 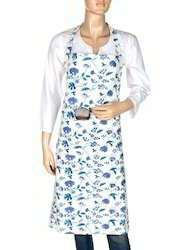 We are offering our customers an excellent quality range of cotton Aprons. Rajrang presents wide range of Indian designer Hand block print products. We Providing You a Best Range of block print Apron. This Beautiful Apron Has Made From experienced Craftsmen and Given a Home Furnishing look. Rajrang Brings you one of the Best and Latest of Causal Ladies Kurti which come in Bright and vibrant colors, Fabulous Printed Ladies Kurti which give you a Contemporary look with bit of Ethnic looks. This Kurti is short length and has sleeveless, Gives best combination as Work wear or Casual wear.